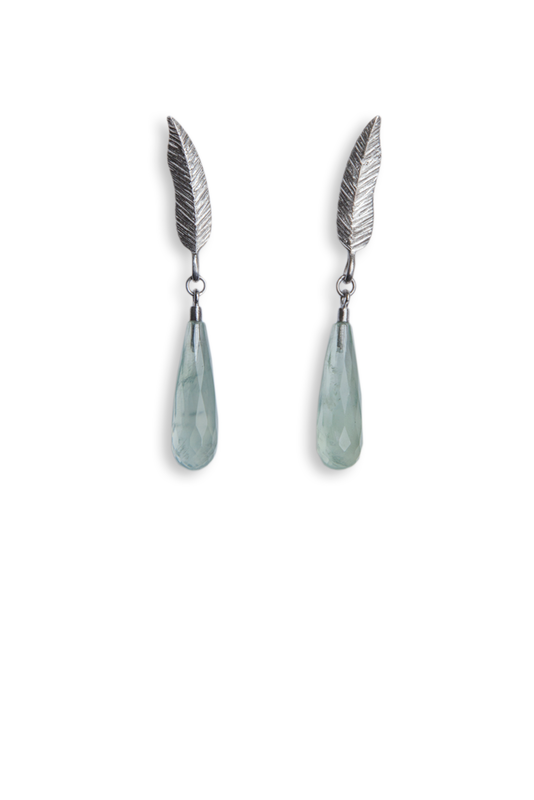 DIANA ARNO X TANEL VEENRE Silver feather earrings with prehnite. 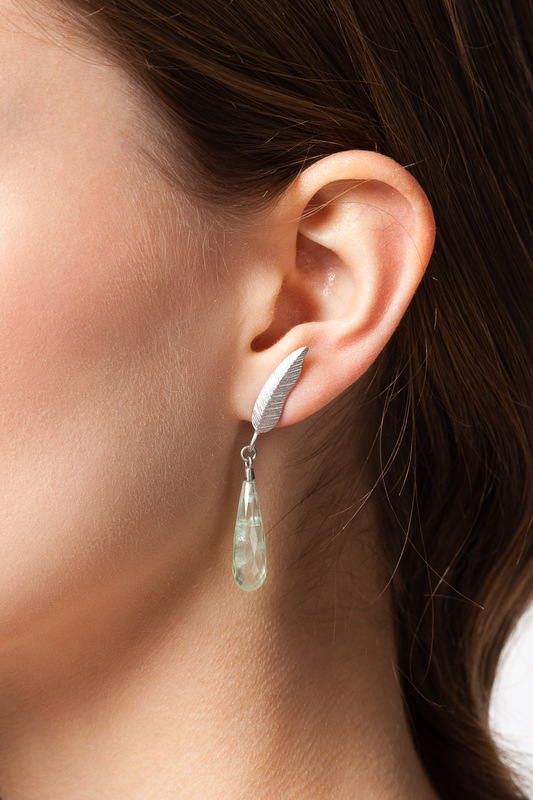 Prehnite is a stone of unconditional love, weather you have found it or just looking for your special one. Bringing your deepest dreams to reality, it can be your healthy dose of daydreaming.